Escaping Nazi-controlled Germany in 1939, Werner struggles to create a new life in New York City. At least Werner had a goal - get a foothold in America; a place to live, a home. Then Father had promised that he and Werner's little sister would follow. This dimly burning ember of hope lit the boy's path. Along the way Werner meets a charming, mischievous fellow refugee named Anika, uses his fists with neighborhood bullies and makes a friend, Sam, while caring for his new Mutti, Esther. In Werner's struggle to find a safe home in the U.S.A., he travels across the city from Second Avenue to Central Park to Harlem and back again. Forced Journey: the Saga of Werner Berlinger was inspired by true accounts of children who fled Nazi-held Europe and came to America. The book is the second of the Far and Away series, which features young people displaced and relocated between 1939 - 1945. Use Forced Journey in the classroom! Download the free discussion and activity guide. Forced Journey is now available as a downloadable e-book from Amazon Kindle. Download a copy of Forced Journey for only $2.99! Rosemary Zibart has given us a great gift in this beautifully crafted and uniquely compelling story of survival through hope, love and resourcefulness. From a German orphanage to the grimy streets of New York, young Werner embarks on his own journey of discovery... Readers can't help caring about Werner Berlinger, can't resist learning about the war years, can't ask for more from this rich, heart-quickening tale. Forced Journey, The Saga of Werner Berlinger... is not only an interesting read but there were many times in the story when I felt that what happened to Werner was what happened to me. 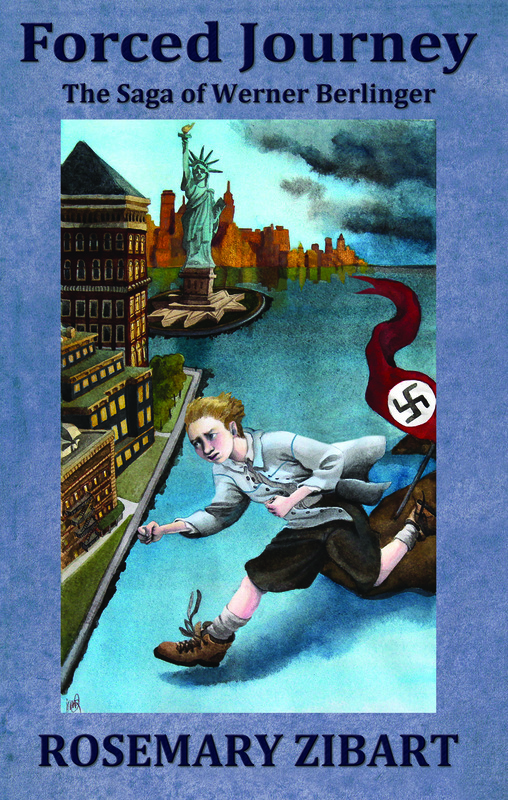 Forced Journey: The Saga of Werner Berlinger" by Rosemary Zibart is the story of a twelve-year-old Jewish boy whose family is compelled to leave Germany in 1939 because of the rise of anti-Semitism in the Nazi Germany of 1939. He and his impoverished family arrive in New York City where they must begin new lives as refuges. The second volume in Rosemary Zibart's 'Far and Away' series, "Forced Journey" will give young readers of today a kind of 'window' into what the lives and times of the dispossessed were like in their grandparent's generation. Highly recommended for both school and community library collections. Stories of people who suffered during World War II fill shelves of libraries and bookstores, yet readers never seem to lose interest in the most-innocent victims of global warfare�the children. Rosemary Zibart presents a touching dramatization of a twelve-year-old Jewish boy sent to America on September 1, 1939, to escape the Holocaust danger lurking in Nazi Germany. In Forced Journey: The Saga of Werner Berlinger, the title character boards a ship with the lingering hope of reuniting with his father and younger sister Bettina as soon as they can safely make the trip. Alone and scared, he sails to the United States as a refugee, meeting a sweet girl named Anika along the way. Upon reaching the rough and rowdy streets of New York, they must part company as she joins an austere, wealthy family to live in an upscale apartment building near Central Park. In a less-affluent area, Werner can find comfort only in the hope that his handicapped sponsor, Esther, a polio-stricken woman in a wheelchair, will be a good substitute mother. Caring for her daily needs is his responsibility, but fitting into this new, sophisticated city will be difficult, even with a loyal friend named Sam at his side. Forced Journey is the second book in Zibart�s series about displaced and relocated children and teens. The book is a collection of heartwarming yet painful accounts of youth struggling to adapt to foreign environments from 1939 to 1945, a tumultuous period in world history. Loosely based on true events, these fictionalized characters are imbued with a realism that helps create vivid personality portraits, as seen in children like Werner Berlinger, a curious, resilient boy on the cusp of puberty. Few adults would exhibit the courage and stamina evident in his psyche as he explores his surroundings with enthusiasm and trepidation. Rosemary Zibart is an award-winning playwright and inspirational author known for her support of children�s rights. Informative without resorting to a pedantic delivery, this professionally packaged book is a well-edited adventure that will appeal to young readers wanting entertainment as well as teachers seeking quality literature for the classroom. Zibart emphasizes unfair practices and insensitive resistance to immigrants in an era when no one could afford to let anyone, not even a child, have a discounted ticket to freedom.